Freetobook channel manager keeps on growing with the new connection to HostelWorld you now get even more distribution. This is great news for Hostels, Bed and Breakfasts, Guest Houses and hotels using freetobook. 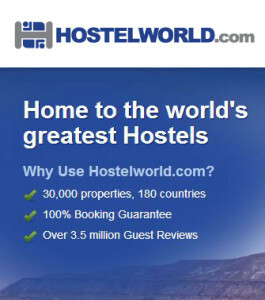 HostelWorld has a comprehensive selection of hostels with over 35,000 places to stay in 180 countries. Take advantage of an extensive affilate network with 3,500 global affilate partners including Lonely Planet and Travellers point. Commission payments to HostelWorld and BedandBreakfastWorld tend to be lower than many of the other worldwide OTAs so you may end up getting more bookings for a lower commission. If you are already a freetobook customer you can click the PLUS Tab and select channel manager to get these new channels. If you don’t yet have a freetobook account find out more about freetobook here. To find out more about the freetobook channel manager click here.